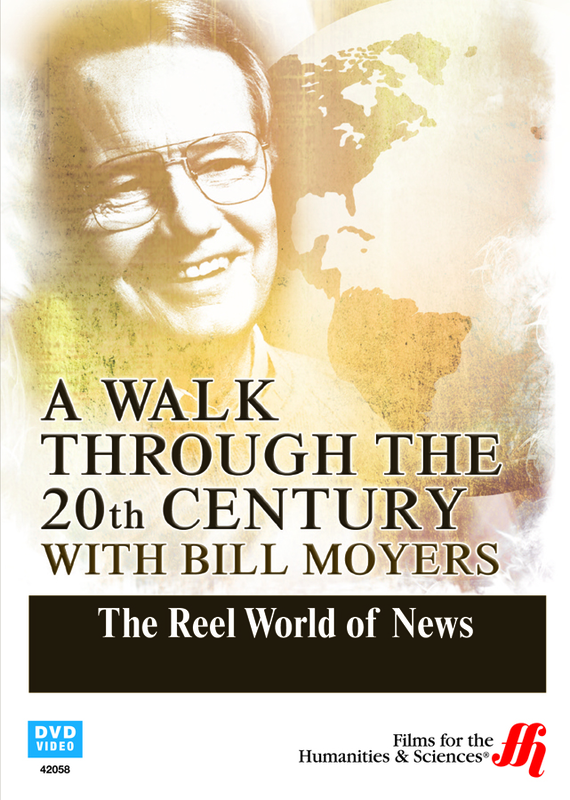 An exploration of American history through the development of newsreels throughout the 20th Century, Bill Moyers offers an engaging way to study the growth of digital journalism. Part of the "A Walk Through the 20th Century" series, narrator Bill Moyers highlights the major developments in broadcast news technology by exploring the cultural and political climates captured by the ever-changing industry. Interviews with cameramen, anchormen and composers reveal the histories collected through news, featuring iconic images in visual journalism. From the first newsreels in American nickelodeons to the mid-1960s shift to home television sets to the ever-evolving developments towards digital broadcast, Moyers' explores a cultural staple of 20th Century America by displaying a dynamic and intricate narrative of modern reporting. Segments such as "World War II News Paired with Entertainment Geared Towards Men", "Coverage of the Lindbergh Baby Kidnapping", and "Entertainment-Based Journalism" highlight hallmark movements that define both an industry and an art form, and pave the way towards contemporary American journalism.